Remember last week I showed you that great pan-Asian restaurant, the one in Debenhams? 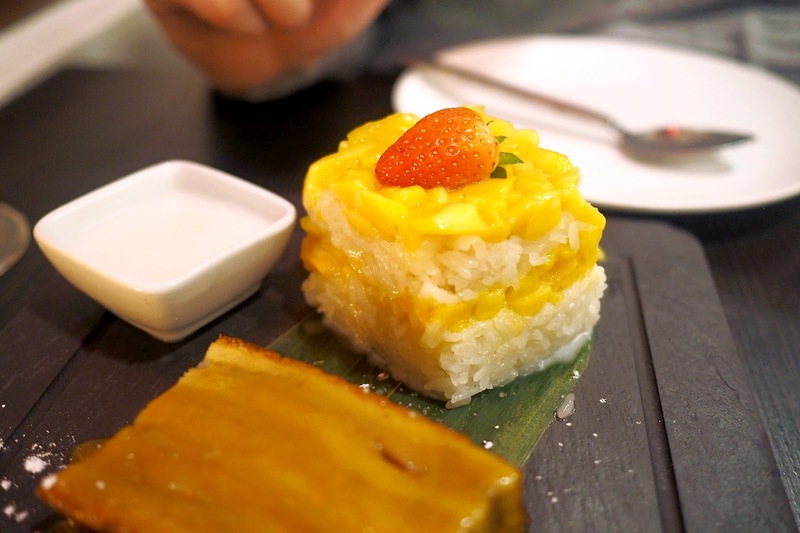 Well today I'm going to show you around their sister restaurant in Belgravia: Mango Tree. 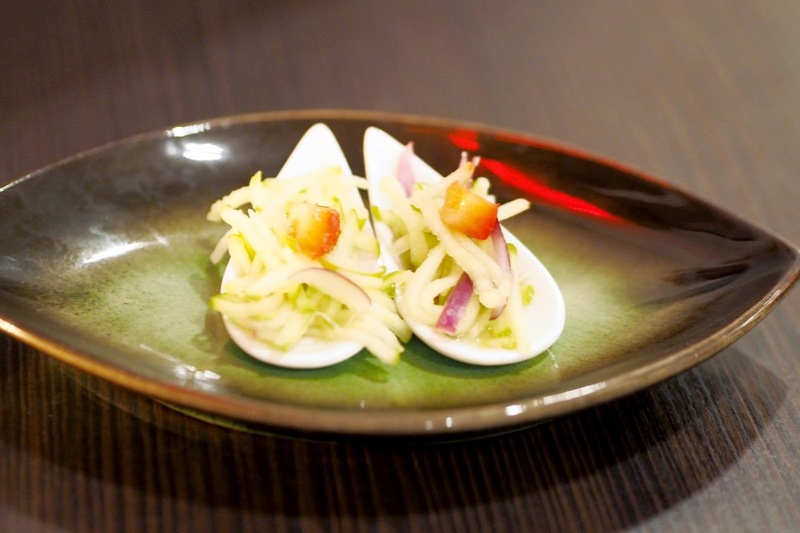 Mango Tree is the swankier, older sister of Chi Kitchen, set right on the back doorstep of Buckingham Palace. They've just launched a new Thai Dim Sum menu and after being super impressed with our experience at Chi Kitchen, Tom and I just had to get down there to try it out. 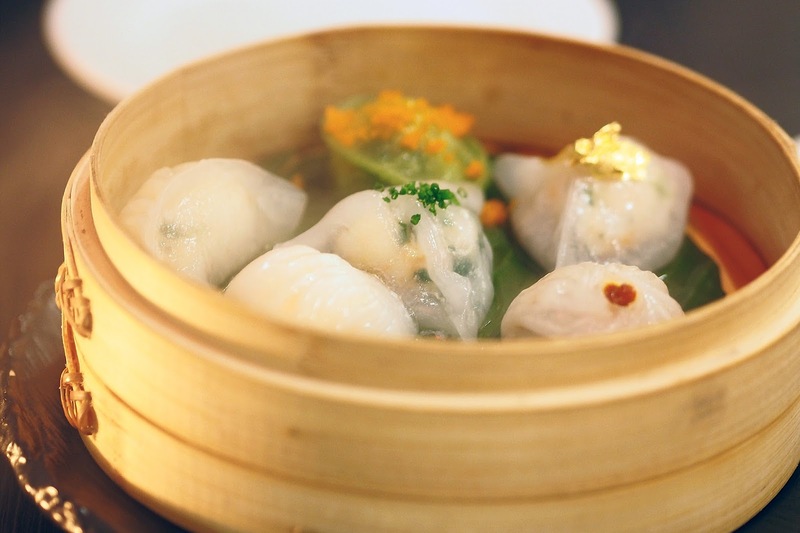 All the Dim Sum is made fresh in-house every morning by the restaurant's Dim Sum master (yep..that's actually a thing!?) and steamed to absolute perfection. 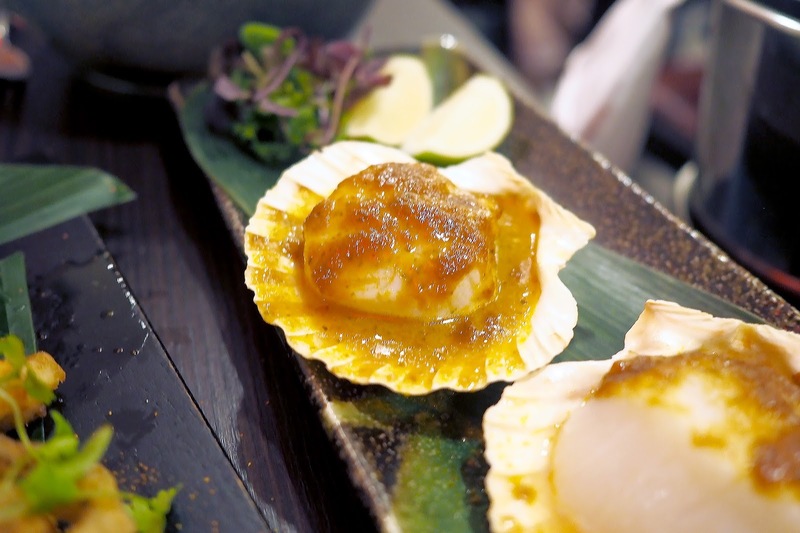 They arrive at your table like little jewels in their very own bamboo nest and taste just incredible. I've always preferred fried or baked Dim Sum but these steamed ones were really good. 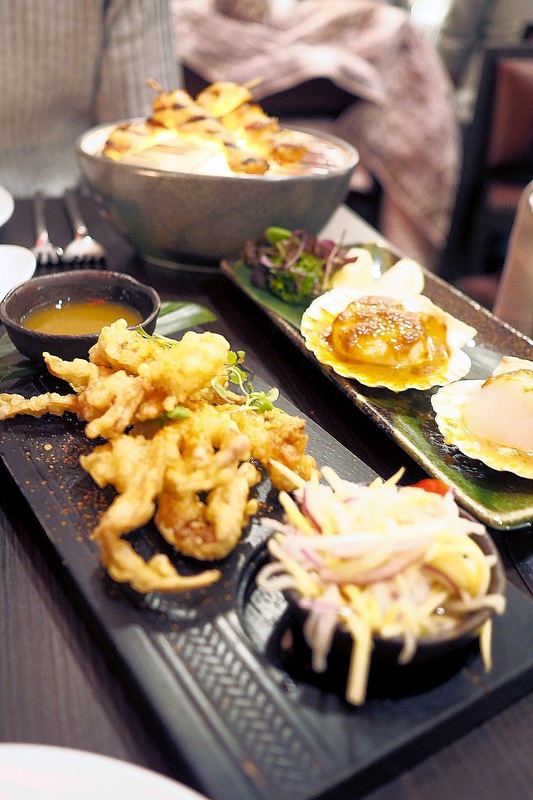 We shared the Dim Sum Platter (£17.95) which allows you to try all the dumplings on offer. 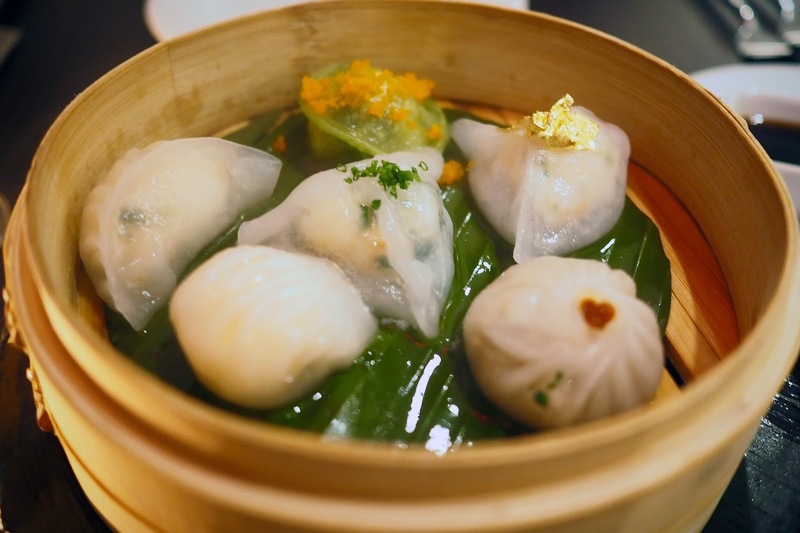 There's a mixed seafood and spinach dumpling, prawn with white truffle oil and a lobster & coriander but my favourites were the Tom Yum chicken siu long bao and decadent Chilean sea bass dumpling, complete with a piece of gold leaf! So tasty. The main restaurant menu is Thai - but with a fine-dining feel..nothing too fancy, just really good quality and well presented dishes! You've got your traditional Tom Yum and Tom Ka soups on there or you could order one of the sharing platters but we decided to pick out some of our favourites The Kor Moo Yang (£8.50) is additively good. 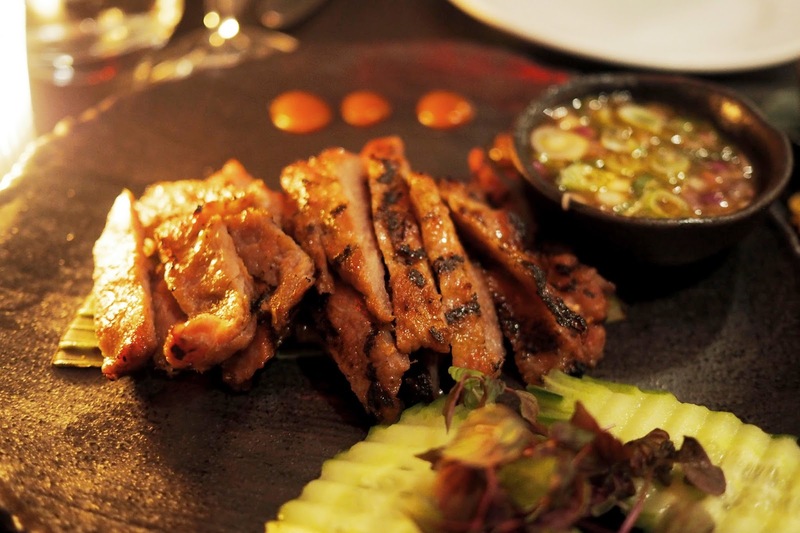 Chewy slices of barbecued pork served with cucumber and an incredible sweet and spicy nam jim jaew sauce. 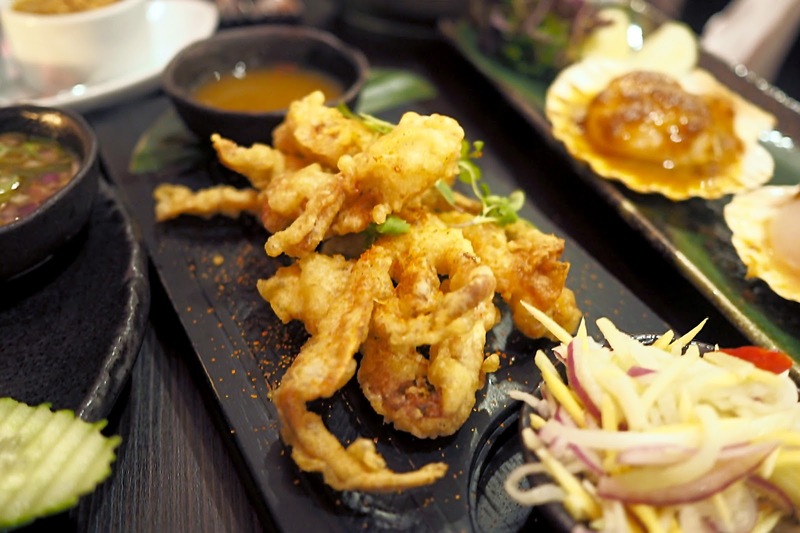 As is the soft-shell crab tempura (£12.50). The batter is light and crisp but it's the spicy fresh thai mango salad which really took it up a level! I love that clean heat which comes from Thai cooking and this just oozes loads of ginger & lemongrass flavour - super tasty and just perfect with the crispy batter. This dish though. This was my favourite. 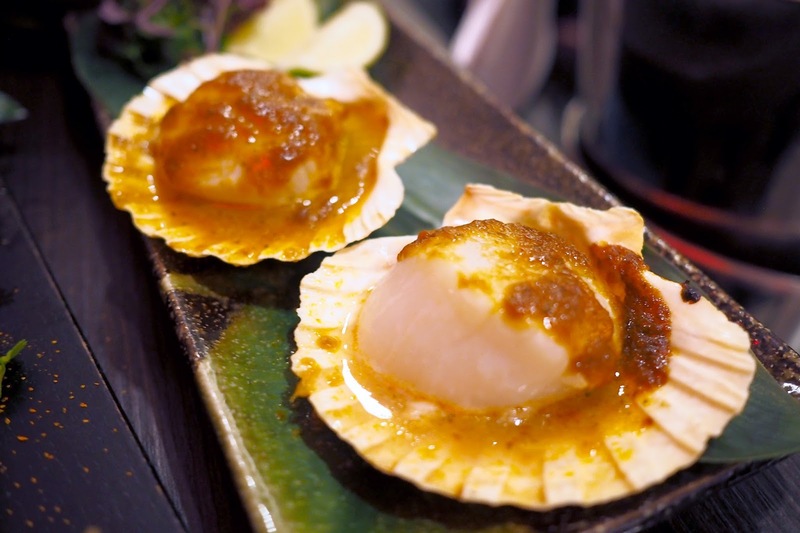 King scallops grilled and served in their shells and smothered in a a spicy thai garlic sauce (£4.50 each). Just look at how plump they are! Perfectly cooked with that incredible melt in the mouth texture. The grilled chicken skewers (£8.50) are also definitely worth an order. 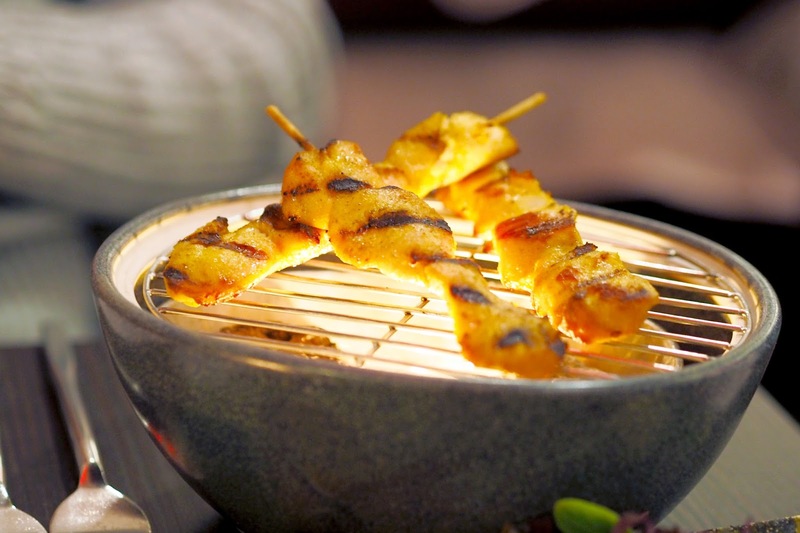 They arrive on a little mini grill and two bowls of peanut sauce and Thai sweet vinegar for dunking into. 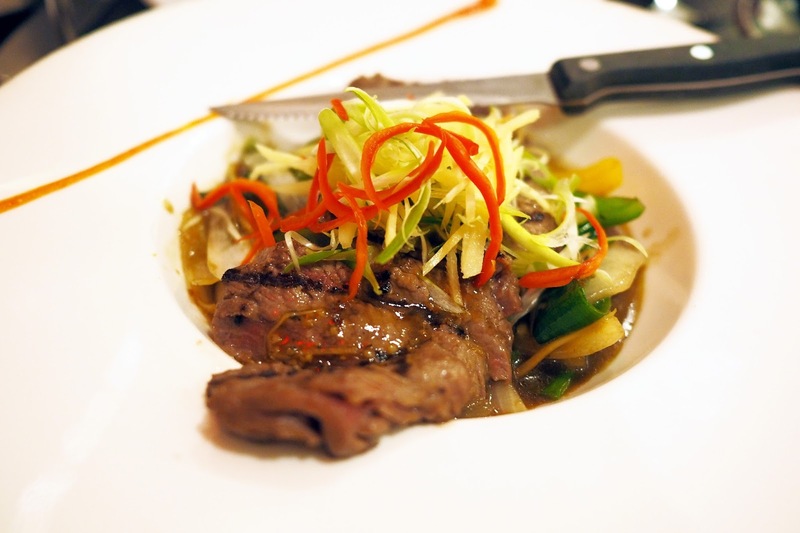 For main courses, we ordered the grilled sirloin beef (£20.25) which came perfectly medium-rare and stir-fried with onion, mixed peppers, ginger, garlic and oyster sauce. 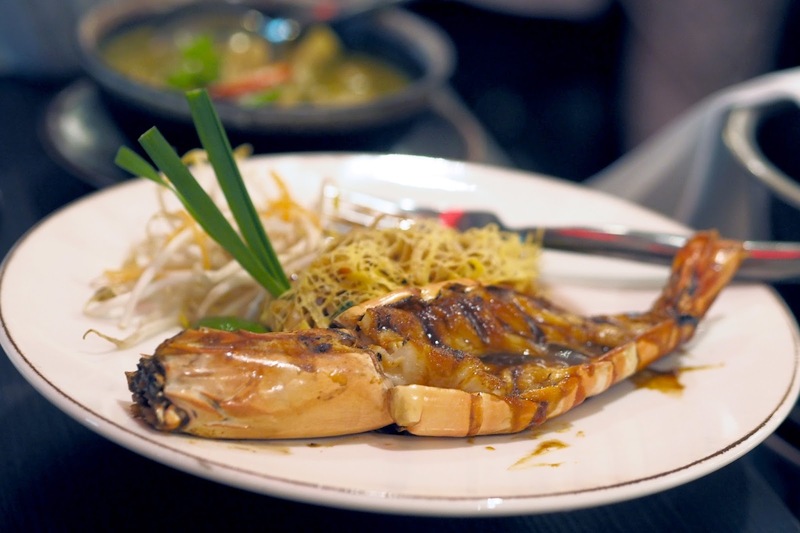 Every dish has the perfect balance of flavour: sweet, salty, hot and sour and taste just incredibly fresh. We also tried the Pad Thai Goong Yai (£25), noodles stir-fried with king prawns, chinese chives, crushed peanuts, bean curd and bean sprouts in a special homemade sauce, topped with the restaurant's signature egg net. SO good and so creatively presented. 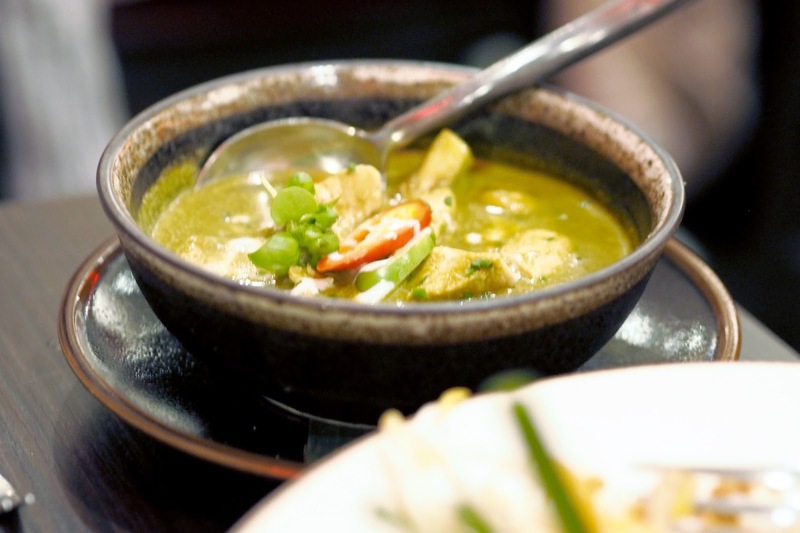 And finally we could't not order the Thai green curry (£16.50). I have to say that I preferred the one I tried at Chi Kitchen but it was still packed with flavour and generous portions of chicken, pea aubergine and basil leaves. Dessert time and the one I was immediately drawn to was the chocolate sphere. 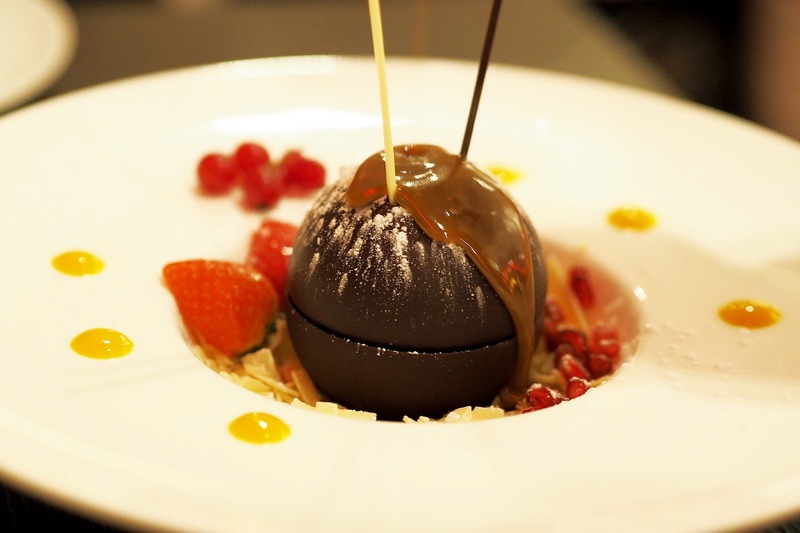 Fresh fruit, white chocolate sprinkles and a milk chocolate dome which melts down into a gorgeous soup once the toffee sauce is poured all over. Super indulgent and also fun to watch! On recommendation from our waiter, we also shared the dessert selection platter. Greedy, I know. There's honey mango sticky rice (which I wasn't a fan of) and banana & coconut pudding but it's the chocolate cheesecake which was the stand-out winner. I think I'd probably by-pass the platter next time and just make sure you order that sphere to share! Overall I really enjoyed Mango Tree. 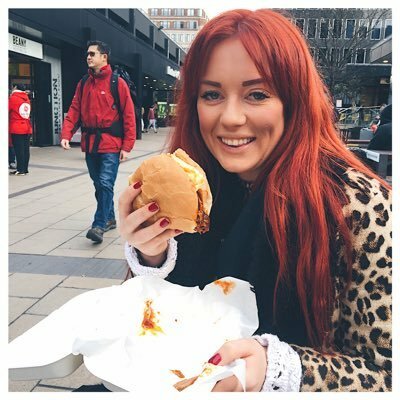 There were plenty of people celebrating birthdays and dates on tables close by so I'd definitely recommend it for a celebration. The food is great quality and the hospitality is second to none. 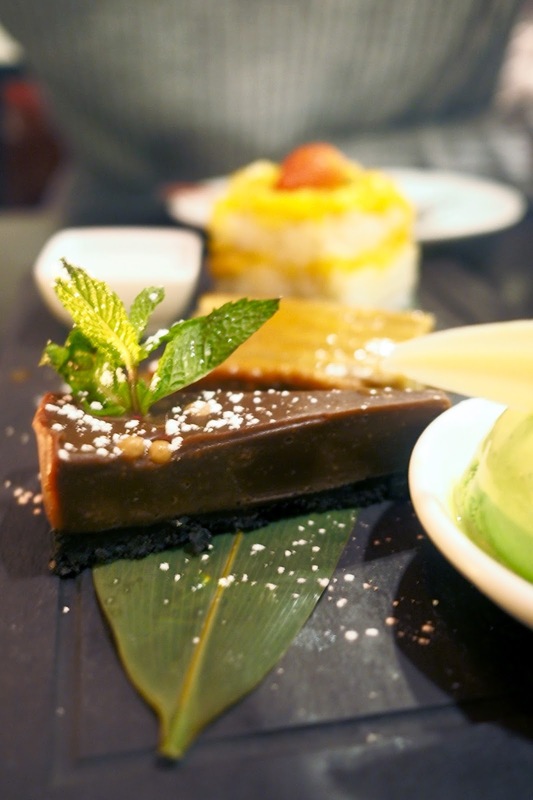 It's in the pricier range of restaurants but for a special occasion - it's well worth a visit!